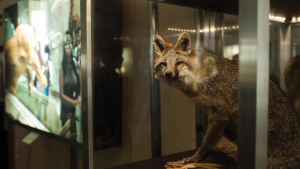 Ahead of the People’s Climate March, Creative Time Reports Editor Marisa Mazria Katz speaks with the artist collective Not An Alternative about their Natural History Museum, a new project that confronts the unsavory influence of corporate cash on science institutions. The People’s Climate March, organized by Bill McKibben’s 350.org and nearly 1,000 partner groups, is slated to be one of the largest climate justice demonstrations in history. On September 21, the protest will snake through the streets of Manhattan as Ban Ki-Moon convenes world leaders for a climate summit at the United Nations headquarters. McKibben and other organizers have not hidden their pessimism about the capacity or willingness of these “leaders” to shift course and reverse our already harrowing path toward irreparable environmental degradation. But those partaking in the march, despite their representatives’ feeble responses to a deluge of scientific evidence over the past 25 years, see this moment as critical—a time to demonstrate that there’s no turning back. Underscoring this urgency, the artist collective Not An Alternative has just launched the Natural History Museum, a pop-up museum that draws inspiration from artist Andrea Fraser’s essay “From the Critique of Institutions to an Institution of Critique” to call into question accepted museological methods and institutional sponsors. These financial ties, Not an Alternative argues, often result in the censorship of crucial facts—for example, that global warming is a man-made phenomenon—which would threaten the ideologies of lead sponsors. As Not An Alternative approached the project, the billionaire industrialist David Koch, a board member of New York’s American Museum of Natural History, thus became something of muse. For this month’s Editor’s Letter, I speak with members of Not An Alternative about their museum-within-a-museum and what they hope audiences will rediscover when encountering their take on a national institution. Marisa Mazria Katz: How did the Natural History Museum (NHM) project develop? Why do you feel like this is the right moment to do this project? Not An Alternative: A year ago we learned that David Koch sits on the board of the American Museum of Natural History. That rubbed us the wrong way. Koch Industries is one of the greatest contributors to greenhouse gas emissions in the United States, and the Koch brothers fund a large network of organizations that obfuscate climate science. At the same time that the far right and the 1 percent expand their influence in cultural institutions, they are also undermining our political process and lobbying for budget cuts in the same institutions, thus concentrating cultural power into fewer and fewer hands. These cultural institutions are civic treasures, close to the hearts of generations of Americans. They have a tremendous influence on our culture, defining values, transmitting information and conveying norms. Yet they are increasingly subject to self-censorship. MMK: Was there a specific project or person that inspired the endeavor? NAA: We’ve been inspired by and involved with Liberate Tate, a collective in the United Kingdom that aims to liberate cultural institutions from ties to the oil industry—specifically the Tate from BP. Liberate Tate uses the methodologies of institutional critique, a tradition in contemporary art that we’ve long been influenced by. At the same time, we believe that there are serious flaws with institutional critique as a means of effecting change, insofar as institutional critique projects are easily absorbed back into the very institutions they critique. Liberate Tate was a real advance here because it exposed a limit to what the institution can absorb. We saw an opportunity to echo and internationalize the efforts of Liberate Tate in museums of science and natural history, spaces that shape our most basic understandings of nature. MMK: How will the NHM function? NAA: By offering a critical perspective on museums of natural history, the NHM activates fundamental principles on which museums are based and makes visible repressed truths. At the same time, it doesn’t treat the institution as an enemy. The NHM promotes the idea that the critical space of possibility that we aim to open up in institutions is in fact already inherent in those institutions. In the long term, this project aims to model the museum of the future. 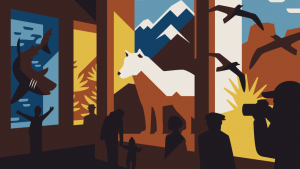 A “pop-up” museum of sorts, it will appear in existing institutions, speaking earnestly to the ideals and values of natural history museums, appealing to those who love such museums and creating space for champions inside the institutions to make change. Wouldn’t it be great if the institutions that provide us with our basic perspective on nature weren’t hamstrung by the threat of self-censorship that comes with accepting corporate cash? And what if they actively championed a version of nature capable of sustaining life for generations to come? As we dug into the project, we saw the opportunity to move beyond critique to build counter-power—that is, to build an institution with the capacity to impact other institutions. So with the NHM we are borrowing from the aesthetics, pedagogical models and presentation forms of natural history museums in order to support a perspective that regards nature as a commons. 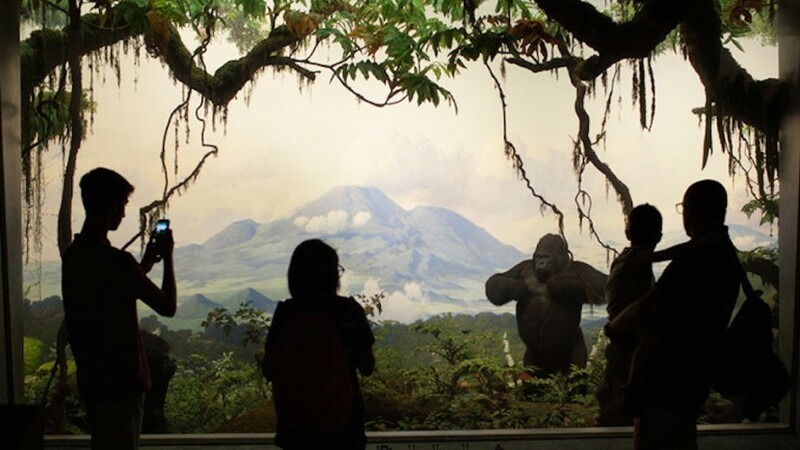 MMK: How do you see nature and natural history being represented in media and museums now? And how do you see the social or political forces that are currently shaping our natural environment being excluded from these institutions? NAA: The variety of content presented at natural history museums is impossibly enormous. It’s natural history, after all. Museum directors and curators have no choice but to be selective about what they feature. So much more of the natural world is necessarily excluded than included. The history of natural history museums is really a history of the social and political forces that have shaped and determined that filtering process. Our project considers natural history museums in these terms. We are not particularly interested in the fact that exclusions exist or in the infinite alternative articulations of natural history that could possibly exist. Our interest is in making visible that which is actively repressed in natural history museums, for political reasons, and in forcing those exclusions into the open. In this sense we are less interested in articulating what a museum fails to say and more interested in communicating what it refuses to say or can’t say. For example, natural history museums typically represent climate change as a confluence of forces, with an emphasis on counting carbon. But it’s not enough to say that climate change is happening and humans are responsible. Climate change is not just anthropogenic; it’s also political. Just as wealth, resources and power aren’t distributed equally, the burden of responsibility and the burden of the impacts are not evenly distributed across all humans. When the fossil fuel industry and the funders of front groups that misrepresent climate science are increasingly embedded in museums of science and natural history, those museums are less and less likely to communicate this critical story. MMK: What are the consequences of a society lacking a critical understanding of representations of natural history? NAA: A society that doesn’t approach representations of natural history and science critically and knowledgeably can be easily manipulated by power. When we don’t understand how science is generated and used, we lose an important weapon in the battle against special interests: scientific knowledge as verifiable facts and testable hypotheses. 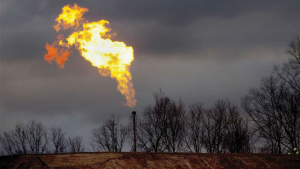 So, for example, powerful interests might try to convince us that natural gas provides clean energy, thereby deflecting our attention away from the environmental costs of fracking. Or they might try to get us to think that tar sands are good sources of fossil fuels, again obscuring from view the actual environmental costs. These are not just matters of preference and opinion. Science can give us measurable indicators of the effects of particular courses of action. NAA: It can’t tell us whether we should take one course rather than another; that’s a political question. And we need to be able to ask what’s left out of any presentation of nature. Science museums tell us about carbon emissions and greenhouse gases. But often they present our planet as a global whole in which everyone is uniformly implicated in and impacted by the state of our atmosphere. The economic system doesn’t appear at all; it is necessarily excluded from view because to include it would turn the discussion to the inequalities of production, distribution and consumption that capitalism relies on and generates. These inequalities directly contribute to climate change—they are at the basis of capitalism, particularly commodity production and the carbon-based energy that drives it. And once you look at climate change from this perspective, the discussion becomes completely different. The subject turns to power, particularly the capitalist power that prevents the rest of us from dealing with the very real changes to the climate that are already happening. Margaret Mead once said that people who enter natural history museums do so with the faith that they won’t be tricked or deceived, that no one will try to make the facts other than they are. We agree. The NHM takes science seriously. We affirm the truth of science: it provides a method by which to test and retest, prove and disprove, claims about the world. Beginning from the fact of science’s radical cut through opinion, preference and belief, we then add in an understanding of nature that includes the social, political and economic systems that are changing the climate. MMK: The NHM project will be inaugurated within days of the People’s Climate March, which is taking place on September 21. How do you see it aligning with the march? NAA: The NHM and the People’s Climate March reinforce each other. The march is an exciting event, the kind of collective expression of hope and will that can really draw attention to the issues. The NHM gives the event of the march an institutional, performative frame, one that is longer-term. As a museum, we have the space to reinforce the perspective that the march opens up. We aim to provide the counter-power infrastructure that curates and lifts up these longer-term aspects of the climate justice movement, supporting them narratively, factually and institutionally. There are some ways of life that are killing the planet; there are other ways of life that sustain it. Because it provides a critical perspective on natural history, the NHM can assert this division over and against the kind of “whole earth-ism” that has hindered climate politics up till now. MMK: How will the project, and the speakers you have chosen to participate in its launch, contribute to the climate change discussion happening both at that time and in the long run? NAA: We’ve selected speakers who are contributing to the work that needs to be done in important ways. By bringing them together under the auspices of the NHM, we highlight the connections between them—the way that they express various components of a shared perspective. Christian Parenti explores the violence that climate change is already causing as it interacts with the legacies of economic neoliberalism and Cold War militarism. Alice Bell interrogates corporate sponsorship of science communication, especially “green-washing” and the “sponsorship chill,” wherein researchers reliant on corporate cash practice a kind of self-censorship and don’t speak out on controversial issues. Gopal Dayaneni promotes the idea that social inequality is a form of ecological imbalance that leads necessarily to the erosion of ecosystems, to another mass extinction. These and other speakers are on a series of panels that together articulate different elements of the climate politics of the commons. The reality is that climate change is happening. Now we have to figure out how we respond to it, navigate the changes already in motion and continue to participate in life on earth. The private vision offered by neoliberal capitalism is to let the market decide, which really means to allow those who have accumulated the most capital to continue to hoard resources that belong to all of us and build enclaves that exclude most of us. The common vision is the one to which collective institutions like natural history museums should bear witness. Against the inequality and ownership of the private vision, the common vision draws a line, saying that the earth is not yours to exploit and destroy—it is the common environment of the people. In fact, no one can be excluded from the earth. Join Not An Alternative’s Natural History Museum community on Facebook. Should Oil Barons Like David Koch Be Funding Our Museums? Did You Know David Koch is on the Board of Directors at the Smithsonian and American Museum of Natural History?